For over 140 years Marsh has been at the forefront of design, manufacturing, and supply of the highest quality pressure gauges and thermometers, which has developed into the most comprehensive gauge lines in the world. Marsh Instruments pressure gauges are being used in innumerable applications providing accurate, dependable, and durable gauges to companies all over the world. Whenever pressure or temperatures measurements are required, Marsh can provide a standard or customized rugged precision instrument to meet you application needs. Marsh offers general service, HVAC/R, Precision Service, Process, Severe Service, and special application gauges guaranteeing that there is a gauge for your application. 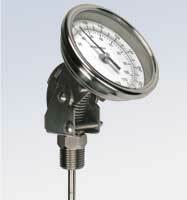 Marsh Gauges can handle harsh chemicals, oils, food and beverage, high pressures, and many more applications. The come in a wide range of materials of construction for your compatibility needs. Marsh Diaphragm Seals isolate pressure gauges and other instruments from the process flow to allow the instruments to accurately measure pressure. They can also extend the life of instruments and reduce maintenance downtime by protecting from corrosion, clogging, freezing, or pulsation damage. 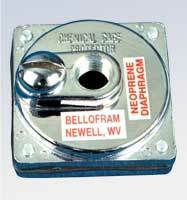 Available in a variety of material options including both rubber and weld diaphragm seals. 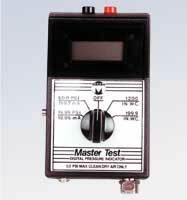 Marsh Digital Pressure Indicators are portable, lightweight, handheld, testing and calibration instrument that can read pressures up to 50 psig to an accuracy of +/- 0.25% of reading +/-1 count. Design of the digital pressure indicator incorporates a state-of-the-art semiconductor-type pressure transducer which converts pressure input to analog voltage, outputted to a 3.5 digit LCD readout display. Marsh Filter, Regulator, Lubricators (FRLs) are a pre-packaged, fully configurable modular assembly of common air filters, regulators, lubricators, and gauges configurations sold as a single unit. Both miniature and standard sizes and come with the patented Bellofram rolling diaphragms, which feature a metal body, polycarbonate bonnet, a non-rising adjustment knob, and panel, pipe, or bracket mounting capabilities. 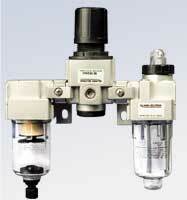 Filter regulators and lubricators feature polycarbonate bowls. Their modular design makes maintenance easy and swapping out FRLs easy. Marsh designs and manufactures a variety of high grade temperature instruments, including bi-metal, hot water, industrial, submarine, miniature (pocket) and digital thermometers and tridicators that provide highly accurate reading of temperature fluctuations in a process. Applications included offshore, power generation, oil and gas, chemical processing, medical equipment, HVAC and OEM applications.